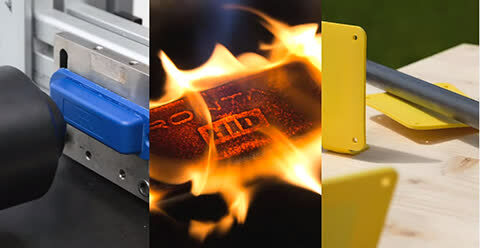 Custom RFID tags are designed for virtually any application, providing a unique RFID solution based on custom-requirements for chip, dimensions, programming and resistance. 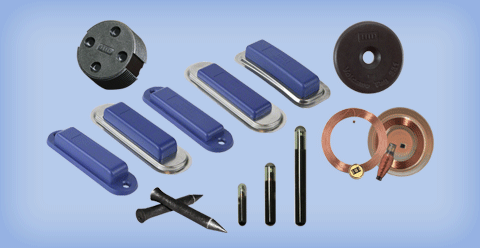 Customizing RFID tags is an ideal option for OEM or embedded deployments. RFID systems are enhancing inventory accuracy and helping organizations optimize logistics processes and increase productivity. HID Global designs RFID tags to support all standard frequencies, including low frequency, high frequency and UHF, and tag memory sizes range from 64 bit to multiple kilobytes. Rugged RFID tags are designed to withstand driving rain, heavy snow, persistent UV rays from the sun and other harsh environments. The tags are food-compatible and flame resistant. Select tags are optimized for OEM customers to embed into other products or materials, making the tag invisible and virtually immune to mechanical damage.